In the 1980’s, many of those who were experiencing Holotropic Breathwork with Christina and Stanislav Grof, at Esalen and elsewhere, wanted to be able to work with others using this method. At their request, the Grofs began offering Holotropic Breathwork practitioner training and certification. They started with closed groups in three-year programs that met twice a year, two of these taking place in Europe and two in the United States. Soon after, they offered a one-month certification group in Breckenridge, Colorado (US) through Eupsychia Institute, Austin, Texas (US), open to those who had been in preparation for the intensive with the Grofs or Eupsychia for several years. Two additional one-month intensives followed in Dahlonega, Georgia (US). In 1989, the Grofs began Grof Transpersonal Training (GTT) in its present form, as a modular program, with seven required modules that may be attended in any order. There is no maximum time to complete the program, although the minimum completion time is two years. At first, Stan and Christina did the teaching, and invited several experienced Holotropic Breathwork practitioners to conduct the Holotropic Breathwork sessions – Diane Haug, Kylea Taylor, Cary and Tav Sparks, Laurie Weaver, and James Frazier. In 1990, the sudden loss of their administrator coincided with Cary Sparks becoming unable to facilitate due to pregnancy, and Cary took over as administrator of GTT. As the training continued and expanded to other locations and countries, Tav Sparks not only worked closely with Stan (sometimes also with Christina) at multiple training modules and workshops each year, all over the world, but also was teaching an increasing number of modules. Core staff of GTT in the 90’s also included Diane Haug, Kylea Taylor, and others. Certification training was completed in those years in Brazil, Scandinavia, Australia and Argentina. In 1998, Stan and Christina decided they no longer wanted to continue to own and run GTT, and considered ending the program. As an alternative, they offered Tav and Cary the opportunity to purchase the rights to Grof Transpersonal Training, and to exclusively train and certify people worldwide in Holotropic Breathwork. Tav and Cary agreed to purchase these rights, and the transfer of GTT took place in August of 1998. When the trademarked term “Holotropic Breathwork” came up for renewal subsequently, the Grofs legally transferred that trademark to Tav and Cary. Since that time, Tav and Cary have been owners/directors of GTT. Their focus has been on promoting the Principles of Holotropic Breathwork as the Grofs described them; on quality control; on training and empowering practitioners; and on allowing the expansion of HB and GTT to unfold worldwide in a healthy and organic fashion. 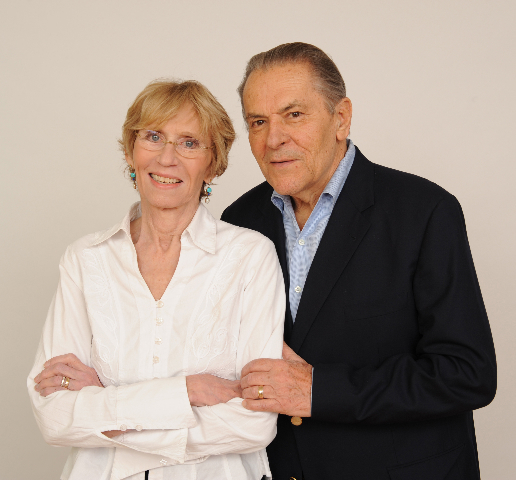 Stan Grof (and Christina, until her death in 2014) participated behind the scenes as mentor/consultants for the training for many years. Stan continued to lead modules, eventually doing only two-day teaching components, while GTT teachers and staff members conducted the rest of the module, including HB sessions. Stan retired from teaching modules in 2017. GTT’s module leaders, teaching, and facilitating staff has also expanded over the years, and bios for current staff can be found here. Past groups have completed certification in Argentina, Australia, Brazil, Chile, Germany, India, Italy, Mexico, Russia, the Scandinavian countries, and Spain. Currently, modules are held in the United States, Australia; multiple countries in Europe and Latin America; Russia and India. Holotropic Breathwork training continues to expand into new locations each year.